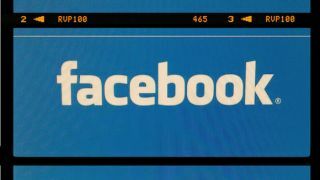 Facebook has pounded out a handful of updates and trials over the last few days, least of which is a test-run of a new "Photo Sync" service for its Android app. The Photo Sync functionality, currently open to a select group of users, automatically uploads a photograph to Facebook as soon as it's snapped by a user's smartphone camera. All photos remain in a private folder named "Synced from Phone," rather than the alternative of potentially compromising pictures appearing directly on the Timeline. Facebook hasn't revealed if and when the feature will be rolling out to all users. Beyond Photo Sync, the company has also updated its Facebook for Android and Facebook Messenger apps to enable a new text message-like conversation view for messages. The apps have also received a significant speed and reliability boost, while users of the standalone Messenger tool can now simply swipe to the left to see who's online. The Messenger update also lets certain smartphone users - those with HTC's Evo 3D and One X, LG's Optimus Black and Optimus Hub, and Samsung's Galaxy Ace, Galaxy Nexus, Galaxy S3, and Galaxy Y - to send texts to their contacts inside Messenger. As for Facebook for Android, it now has a button in the News Feed's upper-right hand corner that shows which contacts are available to chat. The app will also show who's active in order to gauge a message's response time. Users can pick up the updates in the Google Play store. These Android updates aren't as severe, but CEO Mark Zuckerberg has promised a native Facebook for Android client is on the way. Meanwhile, in a bid to secure some shareholder-pleasing profits from its mobile app, Reuters reported that Facebook is about to start charging businesses to use Offers. The Groupon-like Facebook Offers service launched last year and allows local businesses to tempt Facebookers with deals from within their vicinity. To establish the service, Facebook had offered it to businesses for free, but now they'll have to pay "at least $5" (£3) to run the ads, according to Reuters. As part of the update, businesses will also have the opportunity to include a QR code into their deals, meaning transactions are now likely to take place outside of Facebook itself.